The spotlight is a fickle thing, faithful only to a select few. For more than 40 years, Dale DeGroff has been the spotlight’s steady date. This is fitting, in a way. DeGroff, like so many others, first came to New York to be an actor—and with a mix of talent, luck and an abundance of charm and determination, turned a one-night-only walk-on gig into the starring role of a lifetime. 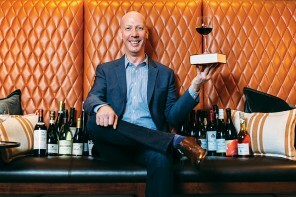 Dale DeGroff is the silver-tongued father of the cocktail renaissance. Handsome and engaging, with the easy manner of someone accustomed to converting a roomful of strangers into close friends, DeGroff is the embodiment of effervescent New York City nightlife, evincing a class and style once commonplace in the city’s finest saloons. 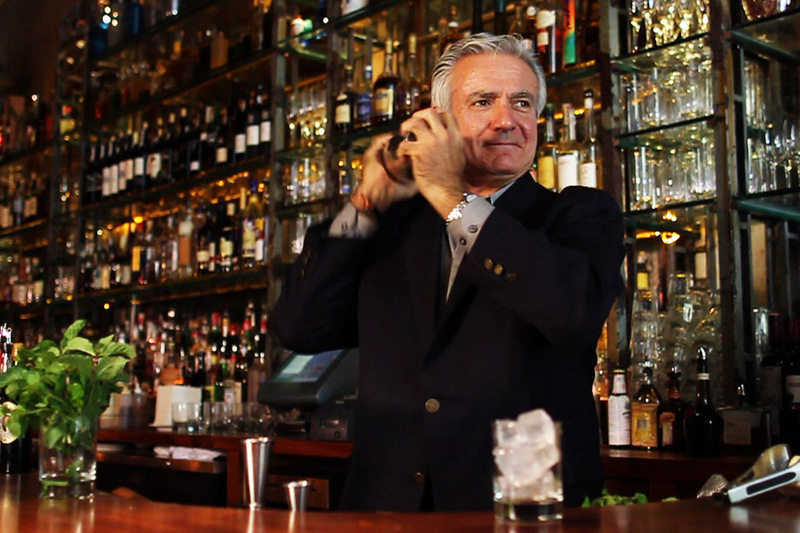 As head barman and bar manager at the legendary Rainbow Room at Rockefeller Center during the 1980s and ’90s, DeGroff took the craft of bartending from its disco-era low and burnished it back to glory, inspiring and influencing waves of aspiring bartenders along the way. More recently, DeGroff has literally returned to center stage, both as a partner in the Beverage Alcohol Resource bartender training program, and as a singing, story-spieling raconteur in “On the Town,” a traveling show covering the glittering world of the New York bar. Soaking up New York’s nightlife became DeGroff’s education. A longtime friend, Gerry Holland, had a jazz-musician brother named Charlie, and through this connection, DeGroff became a regular at clubs such as the Half Note on Hudson Street, catching nightly performances of Roy Eldridge. Through these nocturnal explorations of Manhattan, DeGroff steeped himself in the atmosphere of nightclubs and saloons, picking up wisdom that would later serve him well behind the bar. “I learned about New York nightlife, and how you walk into a joint—and if you’re looking for a good time, you better bring some of it in with you,” DeGroff says. In 1978, DeGroff took one more shot at an acting career, moving to Los Angeles and talking his way into a job as bartender at the Hotel Bel-Air, then one of the world’s most prestigious hotels. Even the quiet of the day shift proved useful for DeGroff’s growing interest in the bar. “Nobody was around, and the head bartender insisted I polish every single bottle, so I read the labels and tasted my way through the library; they had a lot of stuff I’d never seen before, and it was a massive education,” he says. DeGroff didn’t realize that Baum was grooming him for a much bigger project: the 1987 debut of the Rainbow Room, in the GE Building at Rockefeller Center. Baum’s goal was to restore the sophisticated aura of mid-century New York supper clubs, such as the Stork Club, with a big-band orchestra, a revolving dance floor and Art Moderne-influenced décor. Using his growing collection of vintage bar manuals, DeGroff put together an extensive menu of more than 30 then-obscure classic cocktails, giving New Yorkers their first tastes in decades of well-balanced, fresh-ingredient drinks, such as the Ramos Fizz, the Singapore Sling and the Sazerac. DeGroff’s work in bars is now mostly in the form of his traveling “On the Town” shows, in which he’s joined by a jazz guitarist as he regales audiences with his easy-flowing stories of New York nightlife from another era. Drinks are served as well, of course, made with fresh ingredients and measured proportions in the manner that this cocktail regent has instructed thousands of today’s bartenders. He’s also recently introduced his own brand of pimento cocktail bitters. Patrick Pistolesi at Rome’s Caffè Propaganda came up with this mix of bourbon, Campari and a double hit of amari.